Whatever you ask of the Compact 7ES-3, it always delivers: perfectly. The clarity is spellbinding and brings the "magic carpet ride experience" to the listening room in a medium-sized enclosure. The world-class HL Compact 7ES-3 takes the ultra-clean Harbeth-exclusive RADIAL2 cone technology to another performance level, and has been hugely successful for Harbeth throughout worldwide markets. Add tot hat the new "Open Weave" tweeter, new cabinet internal wall-damping and lowered port tune frequency and the result is more dynamic and greater transparency. This medium-sized loudspeaker combines natural sound with a flair for reproducing any and every type of music from rock to opera, jazz through folk. This latest generation is the most open and enthralling Compact ever. Critically important but hidden is the crossover. Redesigned from the bottom-up using new-technology software, this freed-up even more time for critical listening to music and speech and to minute adjustment of balance and level. The result is improved integration of the drive units across a wider horizontal and vertical arc meaning that the Compact 7ES-3 is far less critical of stand height. 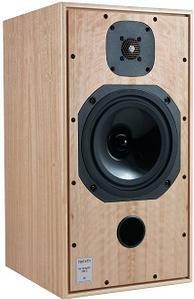 These are wonderful, a great pair of speakers, I am a Harbeth fan for life now. They changed the way I think about my system, instead of changing speakers like socks, I've found a pair of speakers (Compact 7-ES3) which will last me many years to come. Extreme quality to put it lightly, both in the magical sound as well as the fine wood working, world class driver quality, and the feeling like this is a long term investment, not the hype of the day.